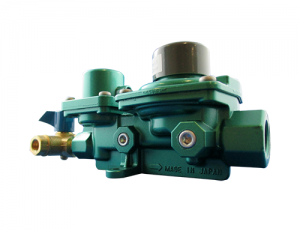 The H6M Rock Regulator is fantastically designed to deliver 300MJ/HR at 2.75kpa of LPG. 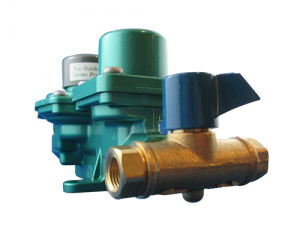 This particular setup is used where the Gasfitter is looking to install two gas cylinders with a manual change over valve. This installation is used so that the customer can isolate one cylinder while the other is in use. 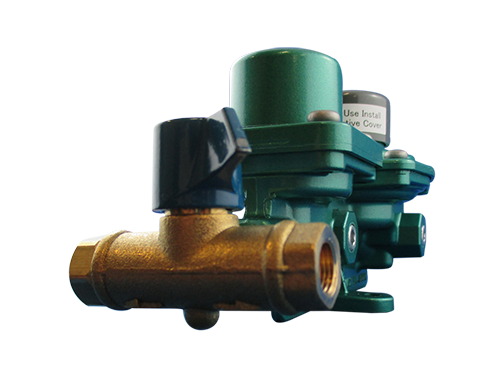 If the gas cylinder runs empty a simple turn of the valve will enable the other cylinder to withdrawal gas while the other is isolated. 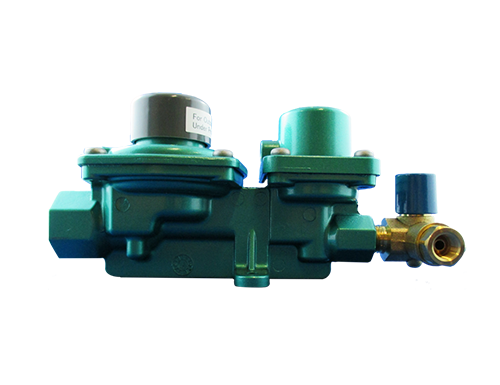 This allows the original supply cylinder to be either changed or filled. The H6M Rock Regulator is suitable for applications such as boats, caravans, pie trucks and general households. 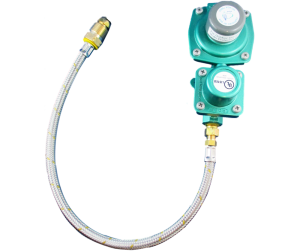 This regulator also includes a plug on the left hand side of the 2nd stage part of the regulator which enables you to remove and install a 1/8 MBSP test point allowing you to check your gas pressure. 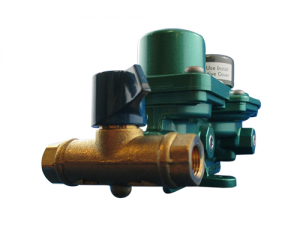 Stainless steel screws are also included with the regulator allowing this to be a great option for boat users when subject to salt water conditions. 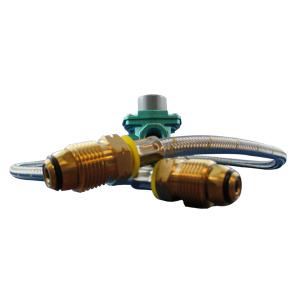 This setup includes two copper pigtails at a length of 450mm allowing this to be suitable for up to 90kg gas cylinders. 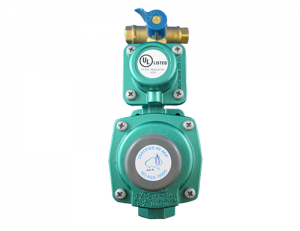 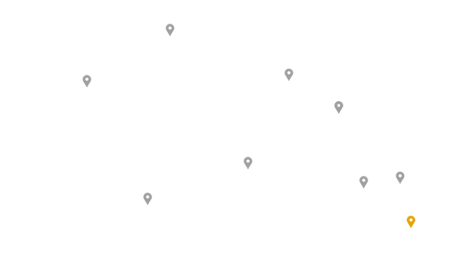 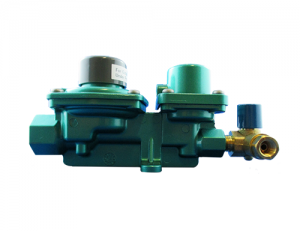 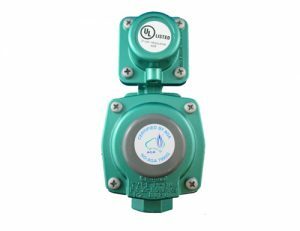 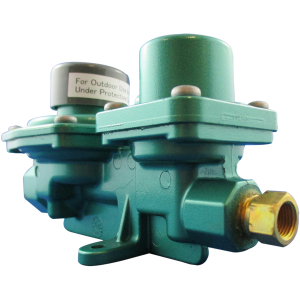 The regulator is both approved with UL144 & AGA Approval.